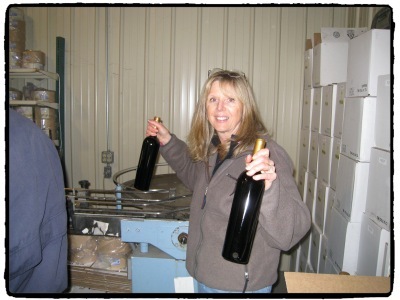 Several years ago I helped out bottling and labeling wine at a small winery. I had never done any of the positions on a bottling line before, and neither had most of the people who were there that day. This type of line work was pretty easy, each position only had one or two steps that needed to be completed. The business owner was able to explain to each person what they needed to do as the bottles filled up and came down the line to be corked, wrapped, sealed, labeled and boxed. There was no reason for written job descriptions, for these types of positions. For the majority of job positions it is very important to have a detailed job description and creating them is not that easy. Take for instance an administrative assistant position, there are more tasks for this position than spaces in the parking lot. Where do you begin with job positions like this and how do you do it right as to cover all of the details? One of the biggest mistakes employers make when hiring a new employee is not being able to provide them with a clear description of what they should be doing with detailed instructions. This is a sure way to set someone up for failure and who’s fault would that be? The cost is great each time you hire a new employee, it would seem that having a good job description would be well worth having rather than repeating the cost of rehiring when the employee does not work out. Job duties and expectations are the two most important steps that need to be covered in detail. The job description should have a list of the duties and responsibilities related to it. It is also important to list time frames of how long each task should take. The description of each task should be no more than 2-3 sentences containing the task, the steps to complete it and the purpose of it. The outcome of the task should be clearly spelled out so the employee understands completely. Having a job description not only allows for employers to train and follow employees progress, it allows employees to know what they are to be doing and how. As an employer it is hard hold an employee accountable for knowing what they are to be doing and the steps to do it if it is not down in writing. It is a win-win for both employers and employees when good job descriptions are in place. The link below is a great resource from the SBA.gov site that can help you to either write or reevaluate your job descriptions. This entry was posted on Tuesday, July 5th, 2016 at 8:00 am by Tina Del Buono, PMAC. Filed under Blog, Business Improvement, Communication, Employee Training, Leadership, Manager Topics, office management, Recommended Websites. You can follow any responses to this entry through the RSS 2.0 feed. Both comments and pings are currently closed.